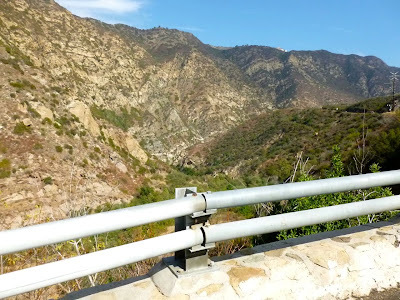 Malibu Canyon Road is a scenic two lane mountainous road connecting the 101 Ventura Frwy to the Pacific Coast Highway in Malibu. 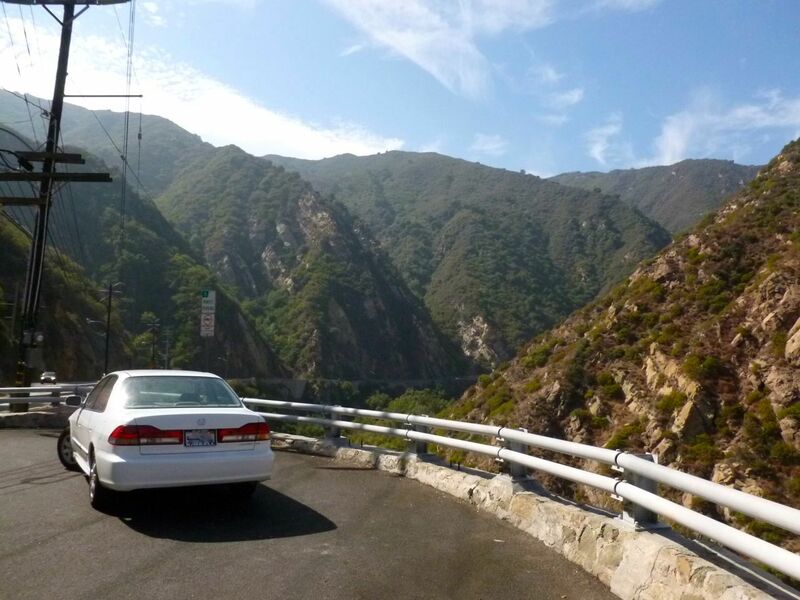 It's a great way to get from Santa Monica and the westside of L.A. to Agoura, Thousand Oaks, and Ventura. I was in town last November, heading back up the coast. I've driven through Malibu Canyon many times, but never stopped for photos. 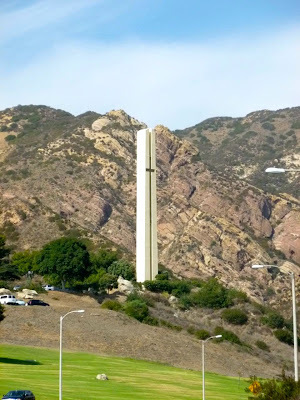 First stop, just off the Pacific Coast Highway, was Pepperdine University. Pepperdine is "a Christian university committed to the highest standards of academic excellence and Christian values, where students are strengthened for lives of purpose, service, and leadership." Great campus - with some spectacular views of Malibu and the Santa Monica Bay. Just a mile up the road - and yet worlds away. Parts of Malibu Canyon look similar to what you'd find in Arizona or Utah. There are some spectacular rock formations. 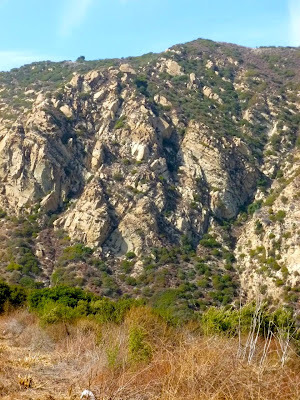 In October 2007, yet another "Malibu fire" roared through this area. The vegetation is making a comeback, especially along the stream bed of the canyon itself. As I've commented before, a fire every ten years is much less dangerous than one every thirty or forty years. Significantly less to burn. Unfortunately, the densely populated hillside communities of Pacific Palisades, Brentwood haven't experienced wild fire since 1978. In the case of Bel Air, Beverly Hills, and the Hollywood Hills, since 1961. Without controlled burns, when fire hits these communities - which WILL eventually happen - it's going to be devastating. 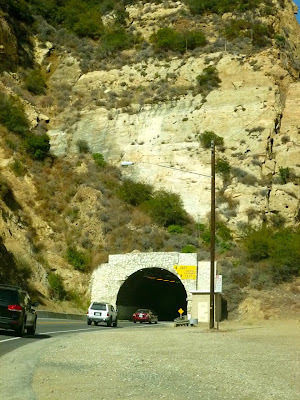 If you want to stop and enjoy Malibu Canyon Road, plan on heading north from the PCH. 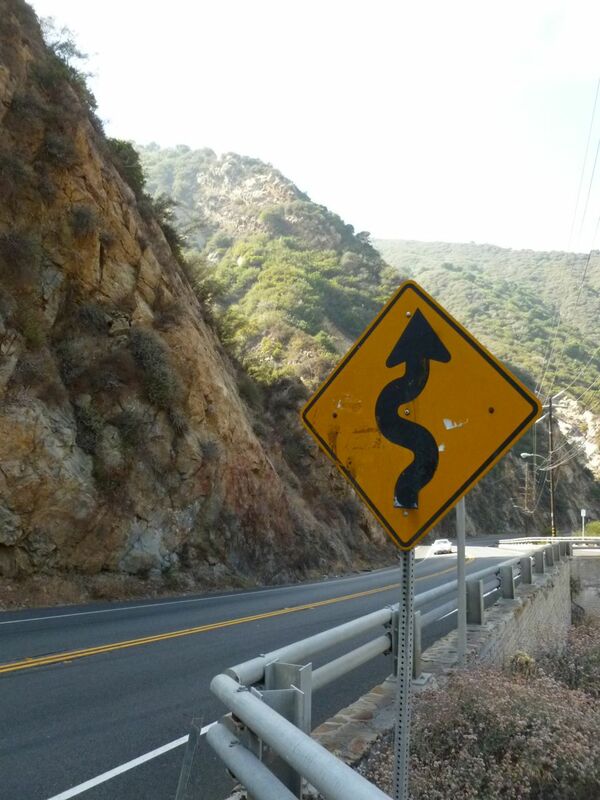 There are several turn outs along the way where it's safe to stop and take photos. My car at one of the turnouts. 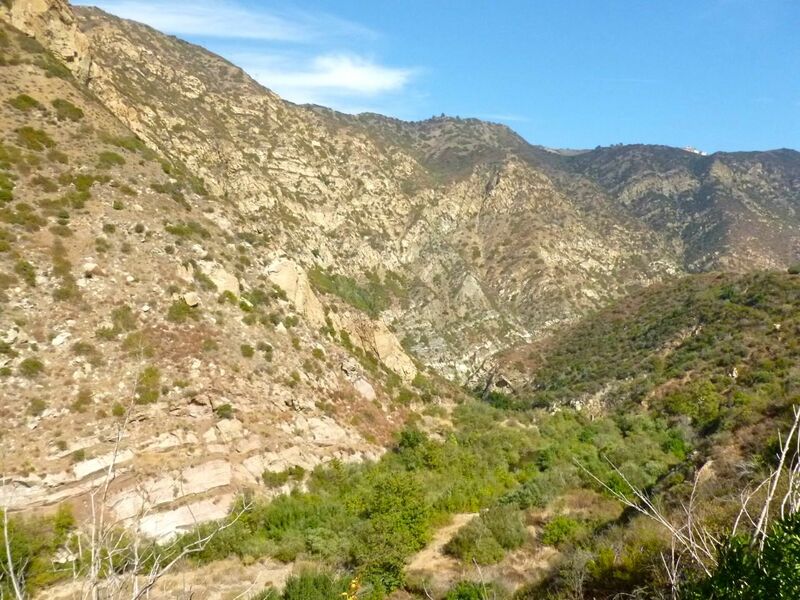 The canyon is amazing, especially when you consider it's just a couple of miles from the ocean - and part of the the second largest metropolitan area in the US. It comes as no suprise that ten of thousands of cars use this route every day to commute between the inland valleys and employment centers on the westside. While there are curves along the way, if you want some SERIOUS curves, try Topanga Canyon Road - a similar canyon road about six miles to the south. A final view of the canyon - and the creek below. 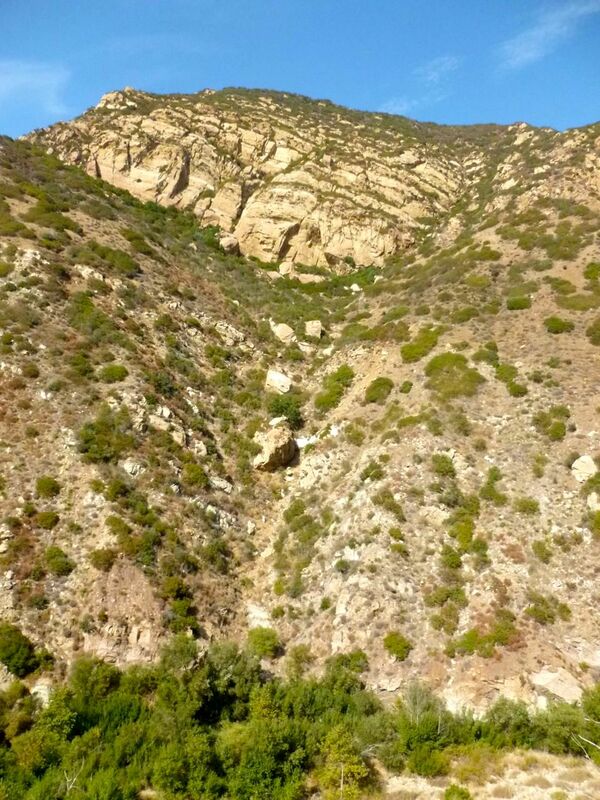 Anyone know if it's possible to hike along the creek? Malibu Canyon Road continues another mile past this tunnel, where it becomes Las Virgines Canyon Road. No turn outs or way to safely take photos, so my photo safari had to end here. 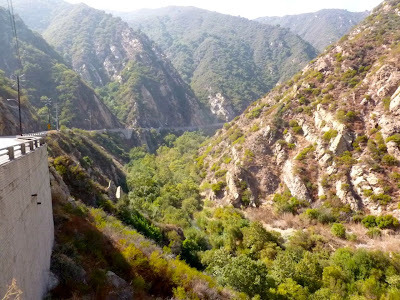 Malibu Creek State Park, which our family visited once, is another couple miles north. Continue on, and you'll hit the Ventura Freeway (aka the "Ventura Highway" - for those of you who remember the old song by the '70's band America). Happy motoring - just keep your eyes on the road, and take advantage of the turnouts. 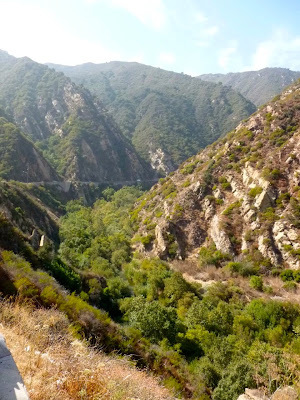 Nice photos but I wouldn't recommend hiking on that Creek.